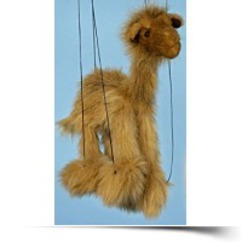 This can be the mini version of our Camel Marionette. Simply rock the control from side to side like an airplane dipping it's wings to make your marionette walk, skip, hop, dance and a lot more. There are another 8 inches of strings that control the marionette making total height about 16 inches. 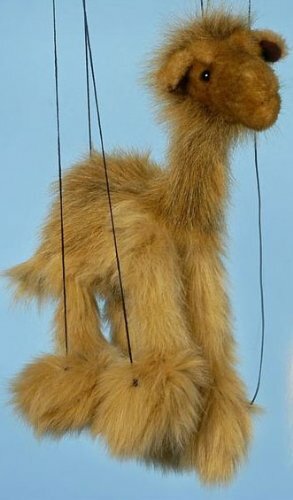 The puppet itself is about 8 inches tall.